Let’s Talk About Frankenstein (2) – Walton’s First Three Letters. In the introductory post, I offered the hypothesis that “Frankenstein” (1) was a letter written by the teenage Mary Shelley to her dead mother, Mary Wollstonecraft. 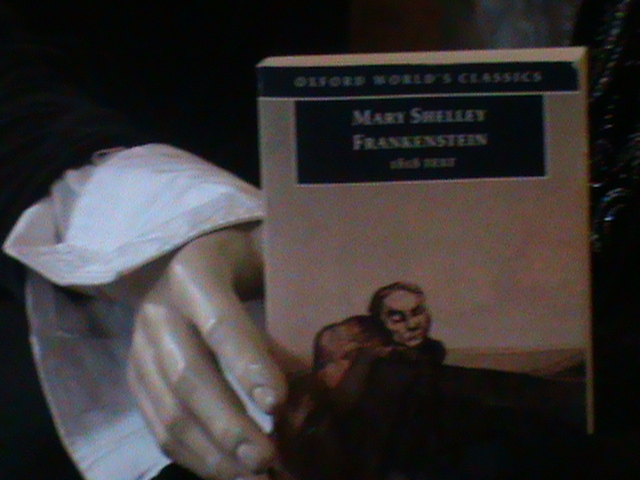 I suggested that Shelley had written herself as Frankenstein with her mother Wollstonecraft as the monster. It occurred to me that Shelley wanted her dead mother to understand how it felt to be an abandoned child. It could be suggested that this hypothesis is flawed because we start the text with the explorer, Walton and his sister, Margaret Saville. However, if we reason that Shelley is the mother of sci fi; I think we can safely expect her to have fluidity in her writing. Even though she was writing in the early 1800s, Shelley was not bound by convention. As her main character Frankenstein was a scientist, an experimenter, so Shelley embraced investigation in her writing. I think that Shelley explores her communications with her dead mother throughout the text in a theatrical way. The characters change their costumes and become someone else. Hence, in the beginning, we are introduced to Walton the explorer and his sister Margaret Saville who are simply Shelley and Wollstonecraft, respectively. In this post, I will explore how my hypothesis fits with the beginning of the book when we read Walton the explorer’s first three letters to his sister, Mrs Saville. Mrs Saville has been left at home whilst her brother has exciting adventures. It is a typical 18th century scenario. The male has inherited the family fortune and is off proving his masculinity whilst his sister sits at home waiting for his correspondence. As the daughter of the first feminist writer, Mary Wollstonecraft, it is easy to see how the text could be perceived as a bit tongue in cheek. However, as I am reading the letters as letters from Mary Shelley to Mary Wollstonecraft, they can be viewed another way. As I suggested earlier, Mary Shelley has depicted herself as Walton whilst her dead mother is the sister Mrs Saville. Mary was a teenager when she penned Frankenstein, Walton is an explorer. The teenage years are when young people try many things for the first time. In other words, teenagers are explorers. When we read the second letter there is a huge change of mood. The teenager who has bragged, strutted and portrayed herself as a complete adult returns to the isolation of a toddler missing her parents. Shelley as Walton laments her loneliness. Even though there are many men aboard the ship, Walton suffers from a sense of alienation. Letter three is a short missive. Walton does not speak of personal matters. He merely discusses the weather. However, in the last paragraph he tells Margaret that he will “not rashly encounter danger. I will be cool, persevering and prudent.” (3) I would strongly suggest that this is Shelley writing to the dead Wollstonecraft. She is telling her that although she is embarking on a voyage of motherhood, she can and will look after herself. The message is ambivalent. It partly consoles the mother that she doesn’t need to worry about her daughter. Contrastingly, it also says that she has had to learn to steer her own vessel onto safe waters because the captain jumped ship. Shelley is a mistress of signposts. We have to be vigilant when we read her. She throws small clues into the text which the eye might skim over. A good example of this is the way Walton has signed the first three letters to his sister. They are signed – Your affectionate brother, R. Walton; Your affectionate brother Robert Walton and Most affectionately yours, R.W. (4) By signing each letter differently, Shelley is depicting changes in Walton’s moods. Fundamentally, the changes in Walton’s moods are a teenage girl’s conflicting emotions towards the dead mother she is desperate to communicate with. 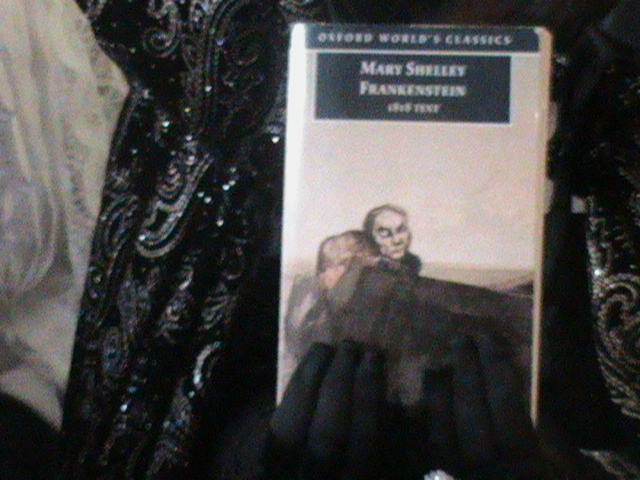 Shelley, Mary, Frankenstein 1818 text. Loony Literature is about being creative with literature. It is about creative reading as well as creative writing. As both a lover and graduate of this subject, I positively enjoy deconstructing texts from different points of view – that is what studying literature is about. It is not about knowing every quotation from Shakespeare as non literary people often assume. It is about taking a text and analysing and evaluating it whilst backing it all up with textual evidence. We can add to our arguments by reading the text from a certain perspective e.g. a feminist or a Marxist point of view. If we enjoy psychoanalytical theory we can use Lacan or even go down a Freudian route. The possibilities are endless and as long as we can back our argument up with textual evidence, we are free to do this. There is no right or wrong answer in literature – it is creativity heaven. Much has been written about Mary Shelley’s Frankenstein; in fact, far too much to mention in this introduction. I have been using the text as a springboard to write a play and workshops. However, as all great pieces of fiction tend to do, it has demanded that I read it yet again from a totally different angle. I love the fact that Frankenstein was written by a teenager. The other detail about Mary Shelley which sits heavily in my consciousness is that her mother died through complications following her birth. I am both daughter and mother. The two relationships are entwined in my being like thread in tapestry. I feel so much sympathy for Mary Shelley as a young girl growing up with only other people’s stories of her mother. These two facts have made me read Frankenstein again. I am going to read it as a subconscious cathartic writing exercise for Mary Shelley. In other words, Shelley wrote herself as Frankenstein. 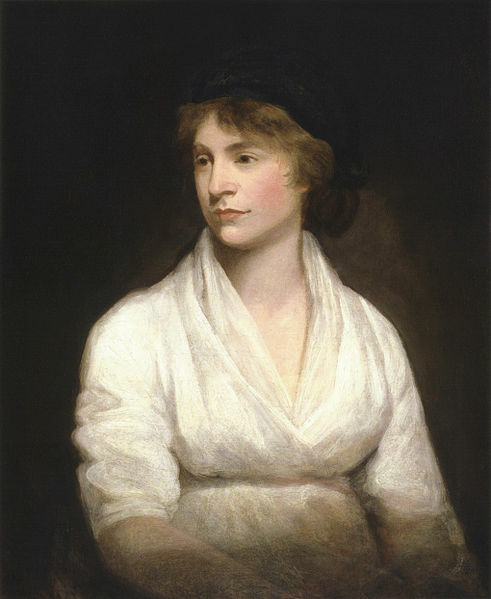 The monster is her dead mother, Mary Wollstonecraft. As a teenager, Mary would read on her mother’s grave in St Pancras Churchyard. The mother was beloved but unobtainable. It is bad enough as a teenager when your parents do not seem to understand your emotional turmoil. Mary did not simply have intentionally deaf ears to contend with but dead ears. Mary needed to find a way to communicate her isolation. 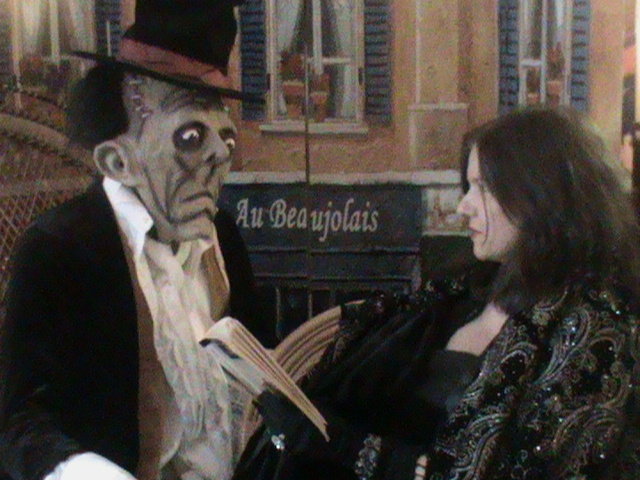 I believe that Frankenstein can be read as a letter from Mary Shelley to Mary Wollstonecraft. How else can an abandoned daughter let her dead mother know what she went through whilst growing up without her? Fundamentally, as the dead mother was a literary forerunner of her day, there was only one way to get such a mother’s attention and that was to create her own literary masterpiece. 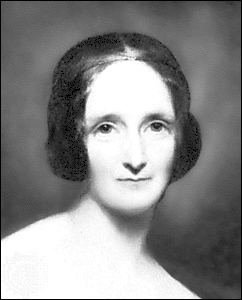 Ironically, Mary Shelley conjured up her own dead mother in the position of abandoned child. If the monster is supposed to portray her dead mother, why did she make him male? We all know that women used to constantly die of childbirth in those days; by re-inventing her mother as male, she prevents this taking place. She needs to keep her mother alive as she lives out the story of isolation Mary felt as a motherless child. I am at the beginning of this reading of Frankenstein and hope that you will join me on the journey. I will be making regular posts as I travel on my own new reading journey of Frankenstein. My model for Frankenstein might not work out. Ultimately, by offering a hypothesis and then writing a notebook on my reading, I hope that readers of the posts will come up with their own valuable insights. If this works, I will tackle other delicious texts in the same way. So let’s talk about Frankenstein.